don’t have to enter your MasterCard information such as card number, CVN and expiry date every time you make a purchase, this saves a lot of hassle. For non-US freelancers in Asia or Africa, Payoneer MasterCard service is very useful because its signing up process is very easy and it’s free. Most freelancers working on Odesk or Elance use Payoneer MasterCard to withdraw funds and to purchase online stuff like hosting plans, apps and Amazon products. Enter your MasterCard details – Name, Card Number, Expiration date, Card verification number. Now that you’re card is added. You’ll need to verify it in the Add/edit card option. 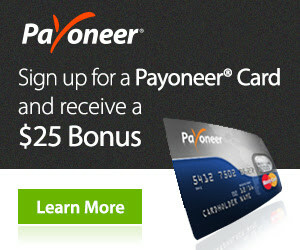 For verification you should have some money in your MasterCard, at least $2. 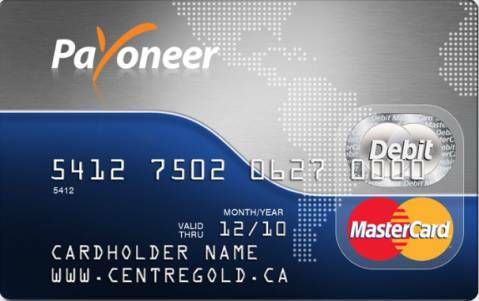 PayPal will withdraw some money, then in your Payoneer MasterCard account you should see the PayPal transaction with a four digit verification code which you have to enter in your the Add/edit card option for verification. Once the verification is complete the money will be refunded to your MasterCard. If you don’t have enough funds in your card you will receive an error that says, “the bank that issued your card didn’t approve your transaction”. After successfully adding the MasterCard, the next time you purchase something online you can choose your PayPal account which will safely make payments from your MasterCard for you.